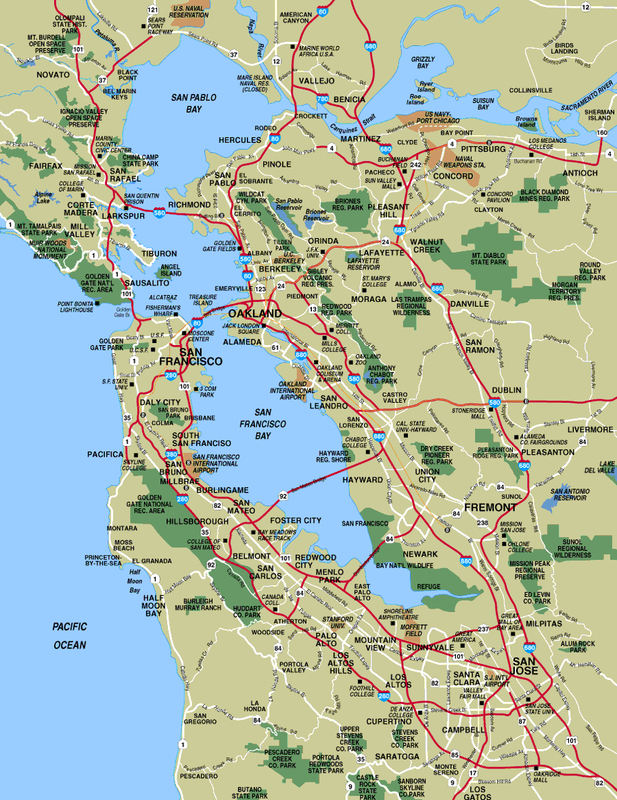 Silicon Valley has the highest concentration of data center decision makers and innovation, and I am sure most of your take regular trips to Silicon Valley. I am heading down today, and I’ll be back for The Green Grid conference the following week. Going to the bay area is almost as easy as a bus ride, a 2 hr flight. This trip I am taking my kids to see grandma. Being raised in Cupertino/Saratoga getting around is not a problem. Steve Blank writes a post that would be useful for those who want to see some highlights of Silicon Valley. One area that Steve hits the mark and why I go to the bay area so much for clients and friends. Like the great centers of innovation, Silicon Valley is about the people and their interactions. It’s something you really can’t get a feel of from inside your car or even walking down the street. You need to get inside of those building and deeper inside those conversations. Here’s a few suggestions of how to do so. Steven has humor in his post. Silicon Valley is more of a state of mind than a physical location. It has no large monuments, magnificent buildings or ancient heritage. There are no tours of companies or venture capital firms. From Santa Clara to South San Francisco it’s 45 miles of one bedroom community after another. Yet what’s been occurring for the last 50 years within this tight cluster of suburban towns is nothing short of an “entrepreneurial explosion” on par with classic Athens, renaissance Florence or 1920’s Paris. And, pokes fun at many aspects of the valley. If you’re a visiting dignitary whose country has a Gross National Product equal to or greater than the State of California, your visit to Silicon Valley consists of a lunch/dinner with some combination of the founders of Google, Facebook, Apple and Twitter and several brand name venture capitalists. If you have time, the President of Stanford will throw in a tour, and then you can drive by Intel or some Clean Tech firm for a photo op standing in front of an impressive looking piece of equipment. The “official dignitary” tour of Silicon Valley is like taking the jungle cruise at Disneyland and saying you’ve been to Africa. Because you and your entourage don’t know the difference between large innovative companies who once were startups(Google, Facebook, et al) and a real startup, you never really get to see what makes the valley tick. If you didn’t come in your own 747, here’s a guide to what to see in the valley (which for the sake of this post, extends from Santa Clara to San Francisco.) This post offers things to see/do for two types of visitors: I’m just visiting and want a “tourist experience” (i.e. a drive by the Facebook / Google / Zynga / Apple building) or “I want to work in the valley” visitor who wants to understand what’s going on inside those buildings.